Business leaders are paying attention to the utility of workplace analytics now more than ever. According to a survey by the Society of Industrial/Organizational Psychologists (SIOP), three identified trends for 2019 include topics related to the use of data to solve pressing business problems. Working with big data is listed as the #3 trend identified by SIOP members, many of whom are leaders in HR and in business broadly. 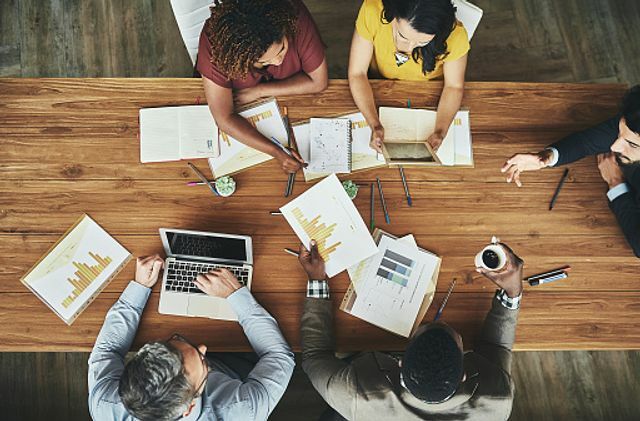 These leaders understand that workplace analytics can both help them improve the effectiveness of their organizations and ensure they remain competitive in the talent war. These issues are inextricably linked: organizations want to understand what makes their talent effective so that employees can be continuously developed to ensure they stay at the top of their game by driving business outcomes. Hitachi Consulting offers a new solution called Workplace Analytics (WpA), that, when paired with our Organization Effectiveness solutions and expertise, addresses these needs. For many years, the bread-and-butter measurement tool of organization effectiveness practitioners has been self-report data, which has been utilized to understand and manage talent. Gathering self-report data, the process of asking an individual to quantify the extent to which they perceive a particular phenomenon, is inherently biased because our perceptions, unsurprisingly, do not always mirror reality. WpA addresses these concerns. WpA uses direct behavioral data based on email and calendar usage patterns to measure what employees are doing in real-time. WpA utilizes several key indicators that can be correlated with individual, team, and organizational performance to drive effectiveness. One indicator is collaboration patterns. WpA looks at the extent to which individuals email and spend time in meetings with colleagues within an organization. Furthermore, patterns can be analyzed both during the work week and outside of normal working hours. The usage of this metric, for example, can help organizations understand the potential for workplace burnout. If burnout is suspected as a reason for high turnover, business leaders could engage organizational effectiveness practitioners who would work with the organization to instill culture change to reduce turnover. WpA alone is only part of the story. When utilized by our Organization Effectiveness practice, the results are powerful. Our team has deep expertise in understanding organizational behavior that aids us in interpretation of WpA data. Our awareness of research and theories on behavior change help us make sense of WpA data to understand the root cause of why specific behaviors occur within the business context. Furthermore, once we diagnose what behaviors need to change, we're experts in how to change them to set an organization up for success. Consider an example of how Organization Effectiveness can leverage WpA. Imagine a sales organization with many new employees. Ideally, sellers need to spend adequate time with buyers to build relationships and communicate key aspects of a product. Sellers also need to spend enough time with their managers, especially when they’re new to an organization, to understand selling processes. Essentially, new sales employees need to be both on-boarded and coached in order to be successful in their roles. Our Organization Effectiveness team can use WpA to understand manager coaching time across employee tenure to ask questions about the extent to which new employees are being on-boarded. Should we find that managers allot little time to getting new sellers up to speed, then our Organization Effectiveness practitioners can create a change campaign around the importance of managers spending adequate coaching time with their line reports. This is composed of communicating the need for change to sales employees and obtaining their buy-in. Additionally, training would likely be required. Sales employees would need to learn which specific behaviors they should change and have organizational support in order to realize the change. The effectiveness of the training would be assessed, to understand further areas of support that might be needed to enhance the success of the change. Finally, once employees start to change their behavior, the success of the change can be easily measured using WpA to answer the question: to what extent have internal collaboration patterns changed? Using an iterative process like this, in tandem with our Organization Effectiveness solutions, we can create lasting and sustainable change for an organization to fully leverage their people's skills for impactful results. One of the key selling points of WpA is that Organization Effectiveness practitioners do not have to guess at cause-and-effect relationships. Instead, they can validate hypotheses about problem areas with the behaviors of high performers. In the earlier turnover and burnout example, Organization Effectiveness practitioners could compare the collaboration patterns across the organization of high performers and compare them to the behaviors of everyone else to draw conclusions on how the collaboration patterns of high performers may differ. Another area of concern for business and HR leaders relates to diversity and inclusion. In the post-#MeToo era, many businesses are understanding the need for lasting organizational change that ensures all employees are included and valued. WpA can be leveraged for this purpose, as well. If a business suspects that inclusion might be an issue, they could partner with organizational effectiveness practitioners who could customize WpA for this need. Demographic data could be paired with collaboration patterns across the organization to understand if collaboration differs across demographic fault lines. If differences in collaboration patterns are identified - for example, if practitioners notice that most collaboration within a specific division tend to fall within a specific demographic group and other groups are excluded, this could represent an opportunity for organization and culture change. As the world becomes increasingly digital, more data on human behavior is generated than ever before. The problem this poses is what to do with it. WpA offers a unique take on behavioral data - when paired with business data and interpreted by organization effectiveness practitioners who are experts in what it means, powerful and lasting change can be realized. Such lasting and continuous change will ultimately help organizations stay agile and competitive in an ever-changing world. What else is important in workplace change efforts? Change agents, networks, and rewiring patterns. Through the Center for Creative Leadership, this article links to a deeper dive that’s worth the time.